This morning we want to go to ion, actually Devi n Gege just want to accompany me to go to the salon. So we go to the nearest MRT from our hotel, from the hotel's description, we knew that MRT is 10 mins from our hotel, but the fact is ... Ya I didn't look at the time actually but we took long enough time to get there. Me n my sister, twin face, different style ;P hahahaa, funky versus vintage! Ok, after we arrived at ion, we have a lunch at popeyes. 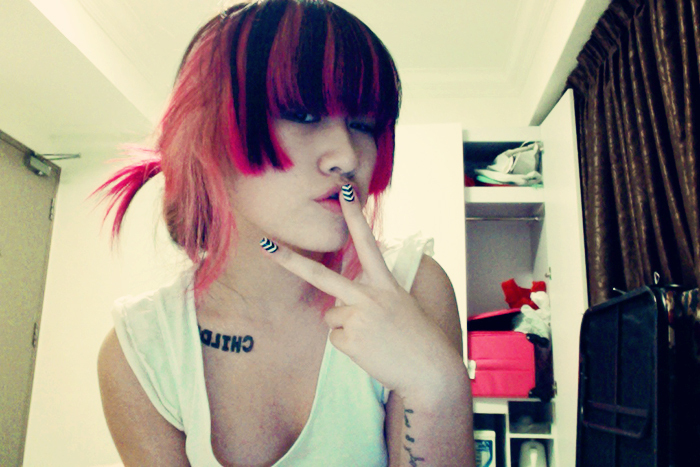 Inspired by Xia Xue (beauty blogger from Singapore), I want to try this at the same salon that she did with her hair. 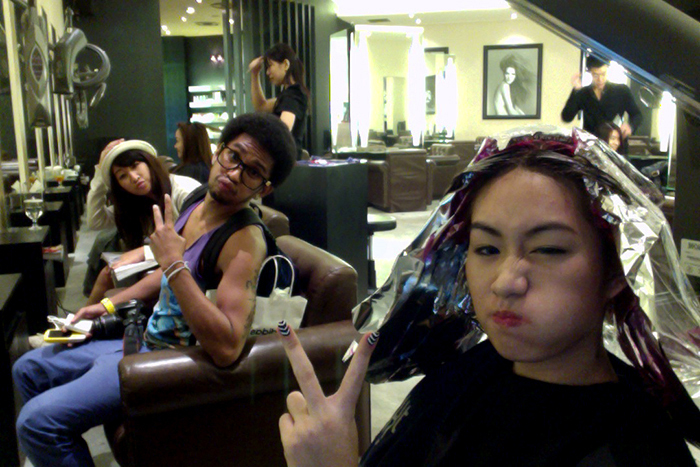 Here we are at neXt when they accompany me coloring my hair. How how ? Whatcha thinkin about my new hair? hihihi looks good on me ?? your outfits are amazing!! and i love the hair!